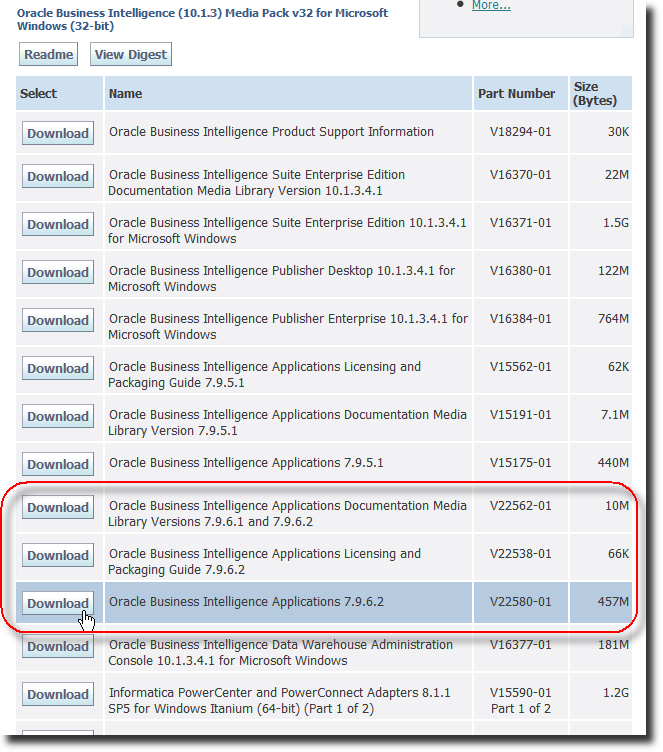 In my previous post, Oracle BI Applications 7.9.6.2 Now Available, I wrote that Oracle BI Applications version 7.9.6.2 are now available. What I did not include is the download link from Oracle E-Delivery. So, when you select "Oracle Business Intelligence" from the product dropdown, from the resulting search list, click "Oracle Business Intelligence (10.1.3)...". This brings you to a page with downloads for 10.1.3.x releases. 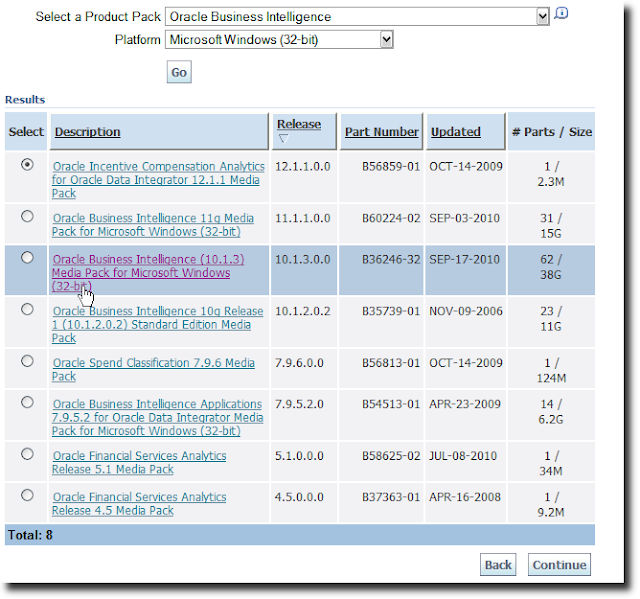 Oracle Business Intelligence Applications 7.9.6.2 are part of that, because they require Oracle Business Intelligence Enterprise Edition 10.1.3.x version as the underlying platform.